Summary: A great 4 person inflatable hot tub ideal for the summer, quick and easy to set up. 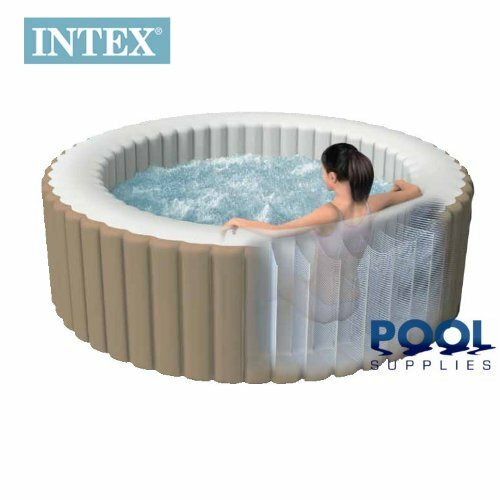 The Intex Pure Spa portable hot tub is seen as one of the more luxurious models on the market. This spa comes with 75 bubbles and tons of features that offers an experience that is both comfortable and soothing. It is still extremely portable and nothing is lost there and it is extremely robust and reliable as it uses the Fibrep-Tech construction. 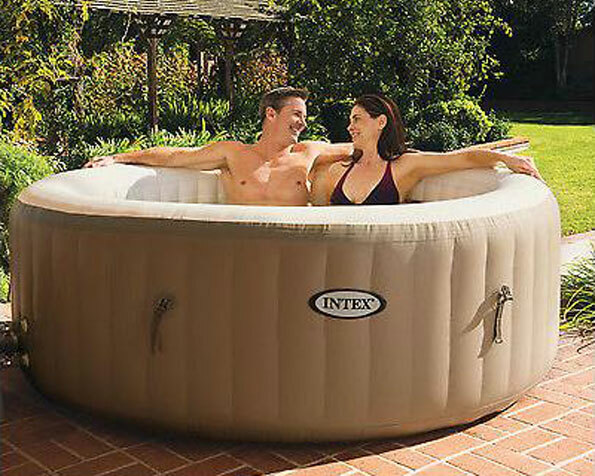 This inflatable hot tub offers the ultimate spa experience and although it states that it can seat 4 people there is enough room for a few mort but for true comfort four people is the maximum. It comes with a 12 month warranty which is always a great peace of mind for the purchaser and every purchase comes with 4 colour changing LED floating mood lights. 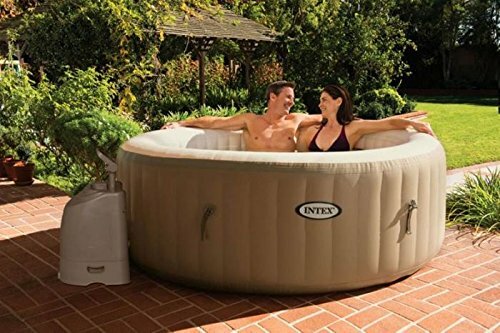 It is packed full of extras such as a tub, cover, blower, heater and filter a lot of which has to be purchased as additional items with other hot tubs. The digital control is where this hot tub leaps out as one of the best, as it makes it simple to control with the touch of a button. It has been built with comfort in mind and it is structurally solid when compared to other contenders on the market. The user can relax in this knowing that it is reliable and at the touch of a button they can receive a steady flow of relaxing, massaging jets. This is one of the more robust models on the market and it is extremely easy to set up, put in place and use. It comes with its own blower which means that it can be up and running in five minutes which is great for those who want to come home and start relaxing as soon as possible. The Intex Pure Spa Deluxe comes with an easy to use LED display with digital controls which powers the 120 air jets that come with this running off a domestic 13amp plug making it hassle free to set up and install. Attractive design. Quick and easy to set up, can be heated up within 7 hours. Price is higher than other similar models on the market.